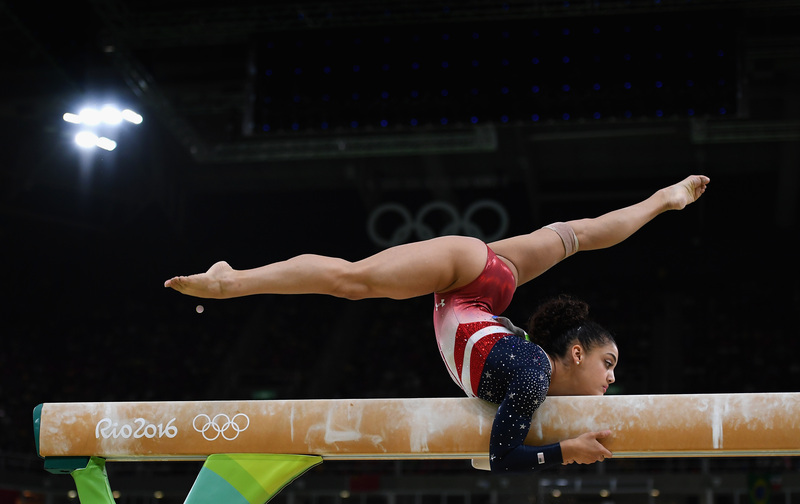 As you watch Laurie Hernandez on the balance beam, it's not hard to imagine the hours of training that go into perfecting her routine. The twists, the turns, the flips. Mounts and dismounts that are truly unbelievable, even at the Olympic level. The sweat and determination that play into her preparation must be huge. But in addition to the physical training, there's another area of work that Hernandez focuses on — her mental preparation. So who is Robert Andrews? Hernandez and Simone Biles' sports psychology coach helps them with a different type of Olympic preparation. ESPN W profiled him on Aug. 9, in which they detailed their interview with Andrews who, at the time, said he was trying to tune into the Olympic Games via Wi-Fi from his home. He is not in Rio, but rather at home in Houston, Texas, and he has made time to watch the remainder of the competitions live, not on the delayed NBC broadcasts. "I blocked out my afternoon appointments all week and will be crying right along with them," Andrews told ESPN. He has worked with Hernandez and Biles throughout their training. It's remarkable they've been so vocal about it. Most athletes, particularly male athletes, wouldn't dare talk about seeing someone in my field. I hope they open the door to our field being more recognized and supported, because it is vital. The plan is a methodical, focused path toward a goal, and it continues to evolve as the system evolves. Part of the plan was to quit being so nervous and anxious and build her confidence. She did that, and that won a national championship. Next was to have a good meet at worlds. It's like the universe. The plan continues to expand. Gymnastics is such an internal sport. There's not a lot of crowd interaction. It's you and the apparatus, and the more focused and confident you are, the more belief you have, the better you are able to deal with distractions. For the Team USA medal count, let's hope their confidence and belief can weather the distance to Houston this next week.